Marina Luczenko, now Marina Marina Łuczenko-Szczesna; she is the exquisite wife of Polish soccer player Wojciech Szczesny, the goalkeeper for Poland National Team and Italian soccer team Juventus. 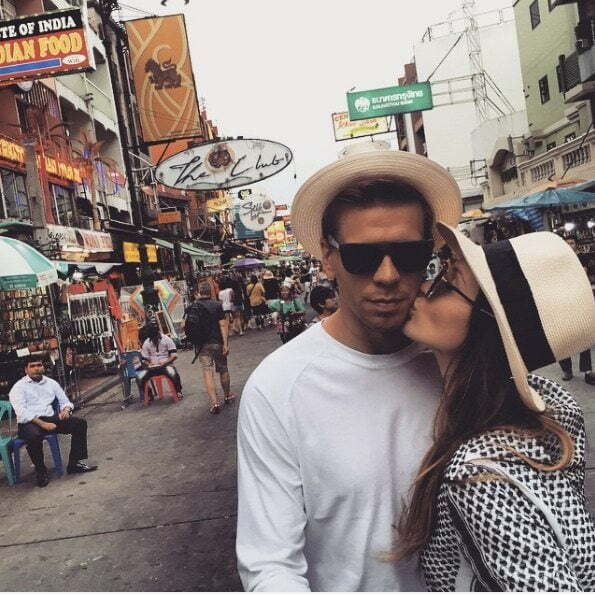 Wojciech Szczesny and Marina dated for a couple of years before getting married in May 2016. 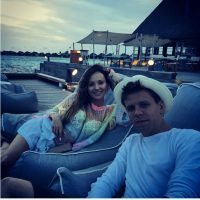 Marina Luczenko’s husband Wojciech Szczesny was born in Warsaw, Poland on April 18, 1990. He comes from a line of professional goalkeepers, his brother Jan is the goalkeeper for Gwardia Warsaw and so was his old man, the legendary Maciej Szczesny, now a soccer commentator once Legia’s goalkeeper that played in the UEFA Champions League. 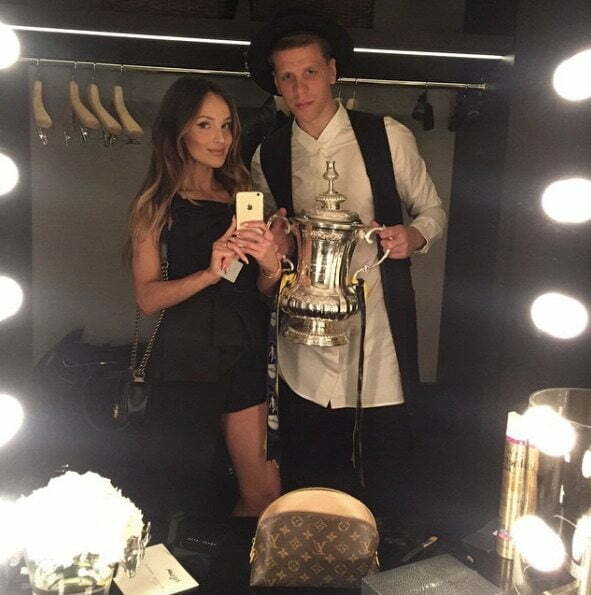 His mum Wojciech Szczesny, is a professional ballroom dancer and an even more incredible javelin thrower. He started playing soccer for Agrykola Warsaw in 2004 at the age of 14; he then followed his father’s steps and joined Legia Warsaw in 2005; signed with Arsenal’s youth team in 2006, two years later he was invited to join the reserve team. In November 2009, he was loan to League One team Brentford; initially Brentford asked for a one month-loan, but Szczesny’s impressive performance granted him an extension; Szczesny returned to Arsenal for the 2010- 2012 season, he struggled to maintain the first-choice goalkeeper position, but remained eager about staying in Arsenal. He had a change of heart when Arsenal hired Petr Cech and saw an opportunity with Arsenal’s agreement with Roma for a season loan. Szczesny made his debut with Roma on August 22, 2015, against Hellas Verona. Agreed to a four-year contract for a €12.2 million initial fee & an additional €3.1m in conditional bonuses with Juventus on July 19, 2017. Ready to meet the missus? Marina Luczenko, 29, a singer, actress and model met her now-husband in 2013; they became engaged on July 7, 2015. 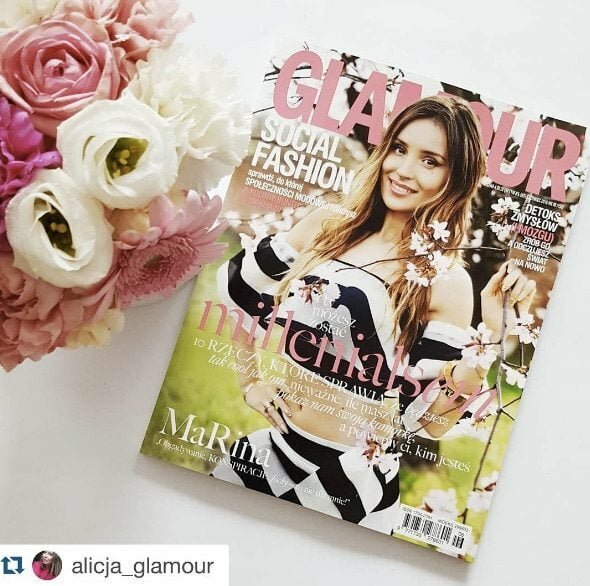 She graced the cover of the May issue of Glamour Poland Magazine. Marina was born on July 3, 1989, in Vinnytsia, Ukraine one of two children born to Ałła Łuczenko, Wasyl Łuczenko, also proud parents of Marina’s sister Żenia Łuczenko; she was two years old when her parents moved to Poland where her grandparents were born and still live. She won the first of three awards at the Interschool Festival in Stalowa Wola when she was five. In 1998, placed second at the International Children’s Song Festival. In 2008, got an invite to compete in the season 7 of Taniec z gwiazdami, the Polish version of Dancing With the Stars; that same year she starred as Amanda in TVN’s show 9 i pół (39 and a Half). In 2009, Marina started working with manager Maja Sablewska; a year later she released her two singles Glam Pop and Peppermint. In 2010, she won the Eska Awards in the category Debut of the year and received two nominations at the 2011 VIVA Comet 2011 (Debut of the Year and the Image of the year), plus four more nominations a year later. She won the Plejada Top Ten 2012, for her album Hard Beat, released in November 2011. 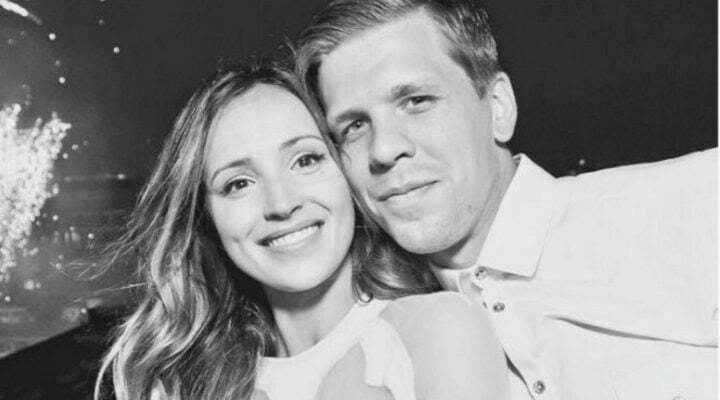 Prior to meeting Wojciech Szczesny, Marina dated singer Wojciech “Lozo” Łozowskim; subsequently, in 2010 dated singer Luke Frost. 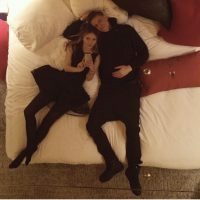 Marina and Wojciech Szczesny got married on May 22, 2016. Marina gave birth to her adorable son Liam on June 30, 2018. Don’t miss their photos below and Marina’s music video for her song On My way! !